In this short book review, a middle school student responds to Catherine, Called Birdy. The main character in Catherine, Called Birdy by Karen Cushman is Catherine, the 15-year-old daughter of the Lord and Lady of Stonebridge. Other important characters include the members of Catherine’s family and her nurse. The story takes place in medieval times in a manor in Stonebridge, England. (A manor is a big house on a large piece of land.) Catherine’s main problem is that her father is trying to arrange her marriage. He picks suitors (possible husbands) who are old and rich, but Catherine wants to choose her own husband. Finally, she runs away when the richest suitor wants to marry her. When she comes back, she discovers that this suitor has died. She then marries his son, the person she really likes. Summary Review: Arranging a Marriage by Thoughtful Learning is licensed under a Creative Commons Attribution-NonCommercial-ShareAlike 4.0 International License. 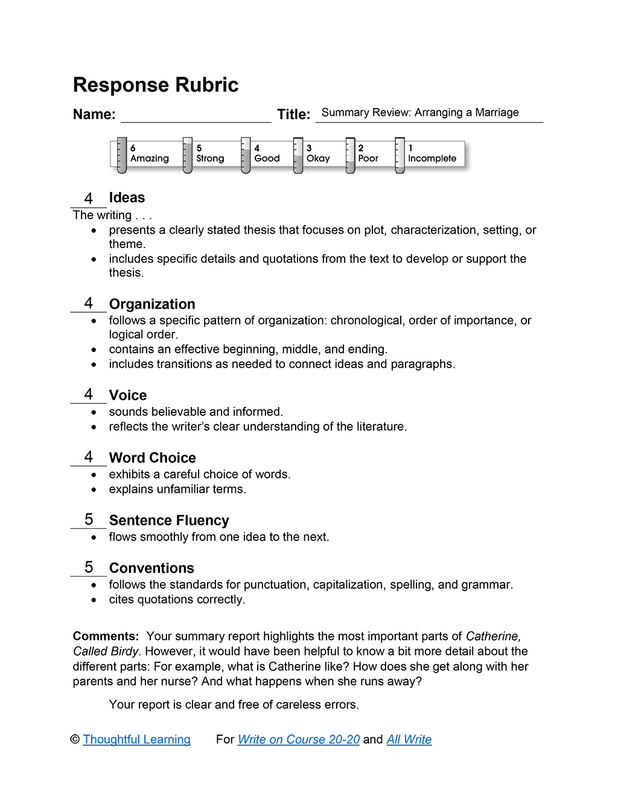 Based on a work at k12.thoughtfullearning.com/assessmentmodels/summary-review-arranging-marriage.